As your smile partners, our professional dental team offer you comprehensive oral care and services that keep your smile beautiful and healthy. Thank you for contacting your Burnaby dentist, Middlegate Burnaby Dentist. Please fill out the form below or contact us by phone/email and we’ll be in touch with you shortly. What Do You Look for in a Burnaby Dentist? 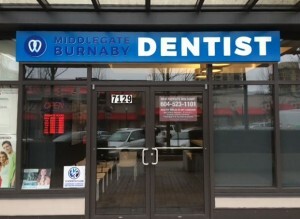 Middlegate Burnaby Dentist is located near ample parking, shops and parks in the heart of Burnaby at 7129 Arcola Street.